Sometimes slow, sometimes dance-y, always dreamy, Oliver Wilde’s newest album comes with the mechanized glossy production that the band members self-proclaim as “Alternative Dad Rock Fizz.” When listening to the new release for the first time, I could most accurately describe my feeling as flying through the air. With each new song, the pace at which I soared through the sky shifted. Sometimes a song offered a slow, relaxing float, while other times I felt a brisk, purposeful movement. The fluctuation between the songs provided a level of diversity, but maintained the New Age glitchy feeling Wilde sought to capture. 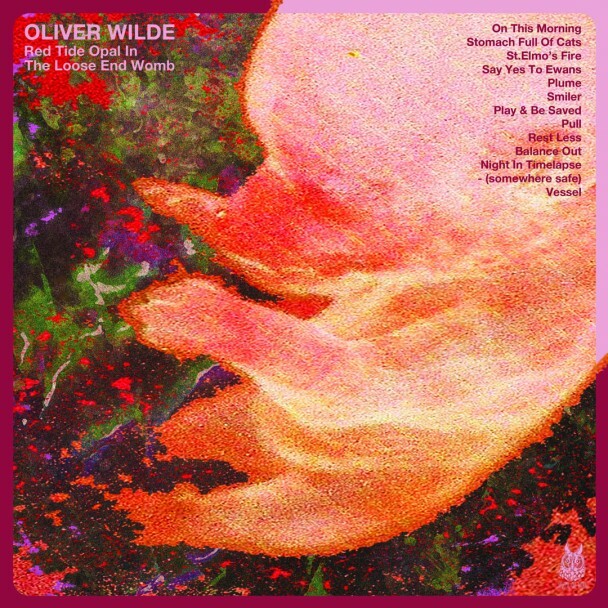 Centered in Bristol, Wilde and his band based their project on time Oliver spent in the hospital. Each song contributes to the overall message of Red Tide Opal, which although not direct, was no less impacting. When finishing the final song (having listened all of the way through the album), I could not help but feel as if I had learned or gained something. Wilde’s website discussed the intention of highlighting relationships and connections between seemingly unrelated items—in doing so he touches on a very human trait of discovery and analysis. Listen to more Oliver Wilde on his SoundCloud.